hi someone have some schematics for bending these two video fx mixer?? Karl Klomp had a nice tutorial on the AVE3, but unfortunately his site is no longer up. but if you can help me,i dont understand in the pic how the bending points are linked,all the points are linked with the ground? or with others bent points on the ave5?? Kebab be careful the mains on the ave mixers is real easy to touch and they are also really easy to short out. Yeah if you need someone to hold your hand on bending a mixer, you are not ready. Start with something that has batteries, like a children's toy. did you make any progress on this bend? i've find some bendings point! if you can add a potmeter and it has cool effect, you can try to add a vactrol and control it with CV. If you want it to react on audio, you will need a envelope follower . but what would be the connections that I should do? maybe between a bending point and the audio-in mic for example? well, like I said. first try 2 points . Do you know the "feeler" or "probe" technique? then probe the circuit. (from bend point to gnd, +5v or another point. be carefull! You can also do this without the resistor, that takes away the safety. If something cool happens, mark that point. 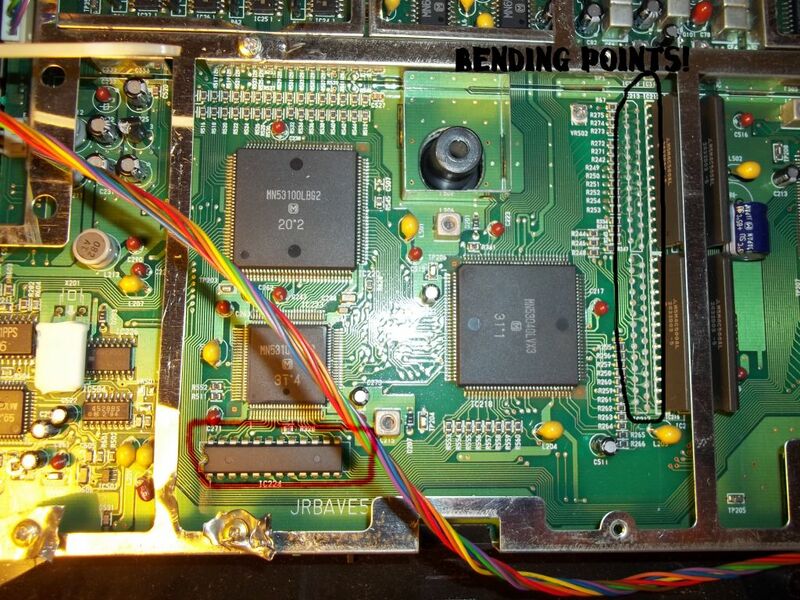 then try to solder a potmeter over those 2 points. if the effect is still cool , mark it for external control. Sometimes a point can only be switched. add a switch there! you can make your own vactrols with a LED and a LDR. much cheaper and more fun! 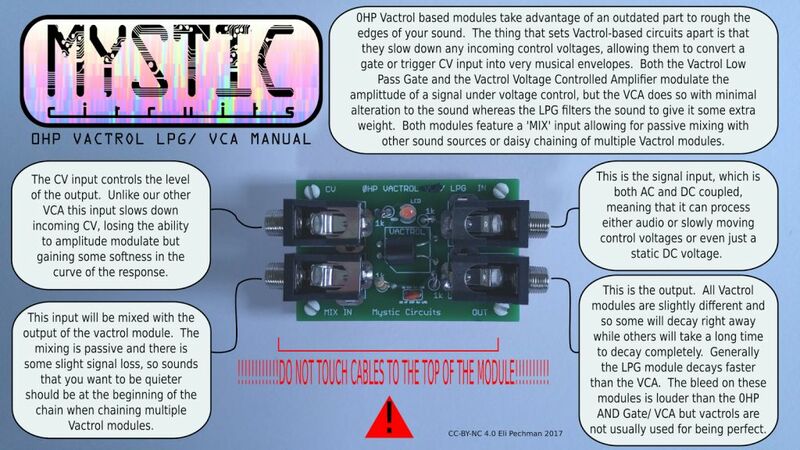 The Mystic circuits 0HP can work, but it is purposed for eurorack signals. The voltages in the videomixer can differ.